Pic: Princess Ngcobo during her Right Brain workshop given by Felicity Keats of Dancing Pencils Literacy Development Project at Malven-KZN. 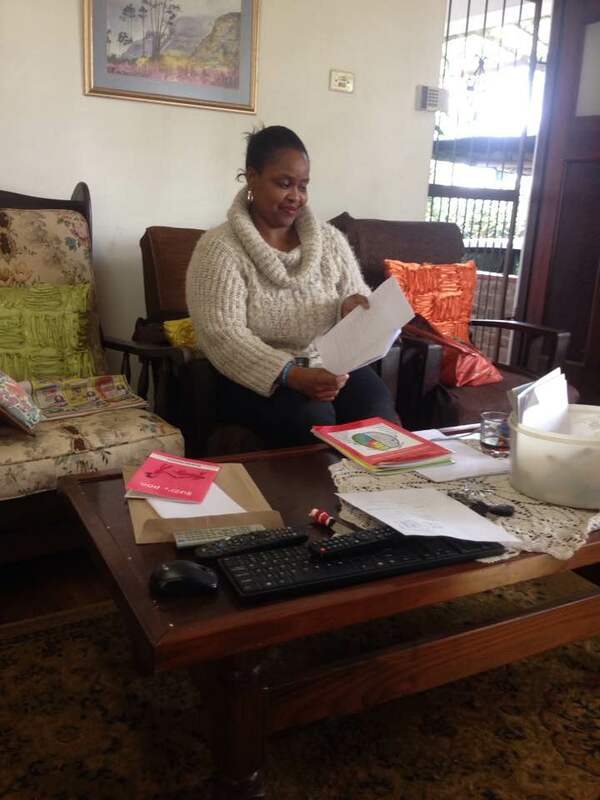 Princess Ngcobo, educator for KwaMyeza Combined Primary school in Hammmarsdale, Mpumalanga township. 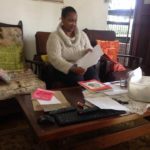 Princess in Hammarsdale did three hours of writing to train as a mentor.She will be excellent as she doesn’t only want to get her school writing but the community as well. This will give both the school and the community a voice. 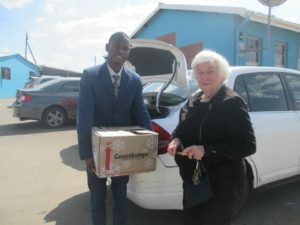 Gcina Mhlophe requested during our Book Donation Campaign that KwaMyeza Primary establish Dancing Pencils Writing Club. Dancing Pencils KwaMyeza Primary School Non-judgmental Non-Critical Right Brain methods. As Dancing Pencils we donated 200 child authored books to the school who want to start a library. A teacher in the school will train as a Mentor so they can run a Dancing Pencils club in Their school. Dancing Pencils at KwaMyeza Combined Primary School: Felicity Keats and Gcina Mhlophe of Gcinamasiko Heritage with learners. Felicity always finds it amazing helping Africans, individuals and mentors to access their noble creative side of the brains. She did as well with Princess and afterwards she has these to say “Princess will be of great benefit to the school and also to the community. She wants to get community members writing, using right brain methods, and to publish them as well. this is what we need, people telling their stories and developing a VOICE to be HEARD! Thank you, Princess and Ayanda” Felicity Keats founder of Dancing Pencils Literacy Development Project and NPO concluding. Yes its amazing seeing real women doing real things and committed to what they doing. Princess Ngcobo’s training got one of the international well known writer and storyteller excited that her request been honored and that KwaMyeza a school in Hammarsdale will establish a Dancing Pencils Writing Club. 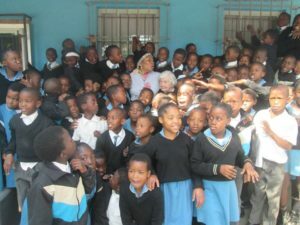 This school has a corner filled with variety of books including Gcina Mhlophe’s books and Felicity and UmSinsi Press published books through right brain trained writers under Dancing Pencils Literacy Development Project. She had the following to say on our Dancing Pencils facebook page commenting as Gcinamasiko Heritage “Congrats to you dear Princess. Way to go. Let this be the beginning of greater things to come. Write On !!! 😊 😀”. Ayanda Hlabisa and Felicity Keats of Dancing Pencils and UmSinsi Press during their 28th of September 2017 book donation at KwaMyeza Primary School. 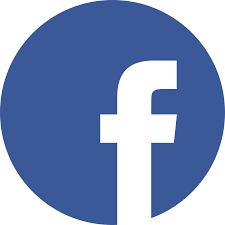 We are extremely excited about rapidly spread of the right brain with its methods which enables proactive and transformed communities, writers and poets just to mention the few.